Learn how to play “The Mafia Game” in your world language class. Students love playing The Mafia Game in their language classes. Teachers love it because it is an easy way to elicit high student engagement while teaching in the target language. Ben Wang, a mandarin teacher in Burlington, Vermont, demonstrates how this game can be played in a novice language class. In this workshop, recorded at Express Fluency’s summer teacher training in 2017, Ben teaches Mandarin to a group of language teachers through engaging them in a round of Mafia. He models teaching with comprehensible input, making the Mandarin comprehensible to the students. The group discusses the game in the middle of the session and also at the end. Variations of the game are also discussed. Many teachers have heard about other teachers having success with the Mafia Game in their classes, but struggle to understand how to implement it without experiencing it firsthand. After watching this video you will understand how the game can work in your class and you’ll be able to start using it with your classes right away. This video is for individual use only. Please contact us if you are interested in purchasing a multi-user subscription. 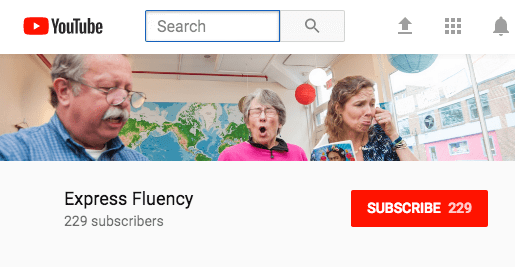 Ben teaches Mandarin Chinese using CI/TPRS® (Comprehensible Input/Teaching Proficiency through Reading and Storytelling®) methods at Vermont Commons School in South Burlington, Vermont. He also ran a language-learning software company and taught the first Chinese courses offered at Saint Michael’s College and the Community College of Vermont. Ben has also brought students to China and hosted groups from China, performed translation and interpretation services, and studied, worked, and traveled in China and Taiwan, where he was born. Since moving to the U.S. at the age of ten he has always been fascinated by the nexus of American and Chinese world views. Ben’s early training in Chinese teaching was through the Chinese Pedagogy Institute at Indiana University and attendance at Chinese Language Teacher Association workshops at ACTFL conferences, but in recent years has gravitated towards CI/TPRS® methods. He led the transformation of the World Languages Department at Vermont Commons in this direction, and is excited to share its magic with teachers and students.